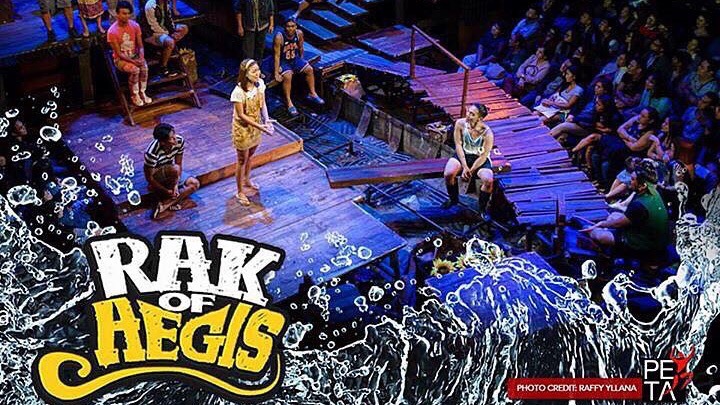 “Rak of Aegis” is coming back to the PETA Theater this July for its 7th run! Directed by Artistic Director Maribel Legarda, with a book by Liza Magtoto and musical direction, arrangement, and vocal direction by Myke Salomon, this OPM musical is incontestably one of the company’s biggest hits. The company has just announced that it will be holding auditions for the principal roles– Aileen, Mary Jane, Tolits, Kenny, Kiel, Aling Mercy, Fernan, and Jewel, as well as ensemble roles. 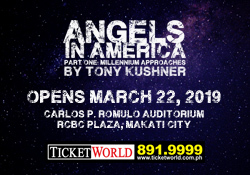 Click HERE to know more about the mechanics of the casting call. Here’s hoping that Aicelle Santos (one of the show’s original Aileen’s), who has recently come back to Manila after playing the role of Gigi in the Miss Saigon UK/International Tour, will be back to reprise her role. Actors who have played principal roles in the past include Kim Molina and Tanya Manalang (Aileen), Jerald Napoles and Pepe Herrera (Tolits), Poppert Bernadas and Myke Salomon (Kenny), among many others. Featuring songs from the popular 90’s band, Aegis, the musical tells the story of Aileen, a young girl with a big voice who dreams of becoming a YouTube sensation. As she tries her hand at fulfilling her dream, she also finds herself in the position of helping her barangay battle health hazards and livelihood conditions amidst unceasing flood water. The show’s artistic team also includes Gio Gahol (choregrapher), Mio Infante (set designer), Jonjon Villareal (lights designer), Carlo Villafuerte Pagunaling (costume designer), Maco Custodio (shoe designer), and Jo-ann Pamintuan (accessory designer).